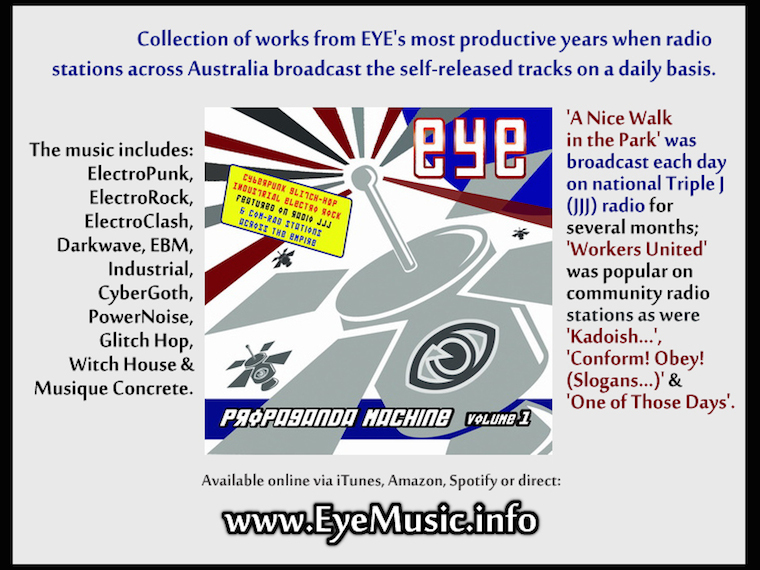 Blatant Propaganda: Songs of Protest - Album of Underground Australian Protest Songs. 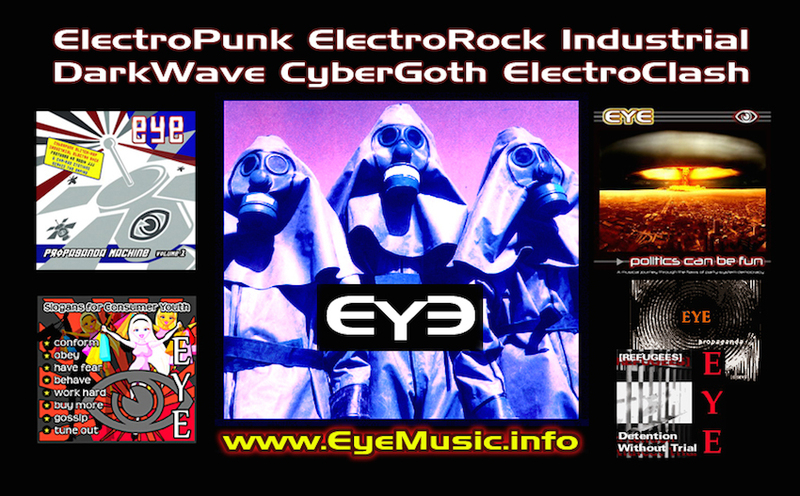 Various Artists. 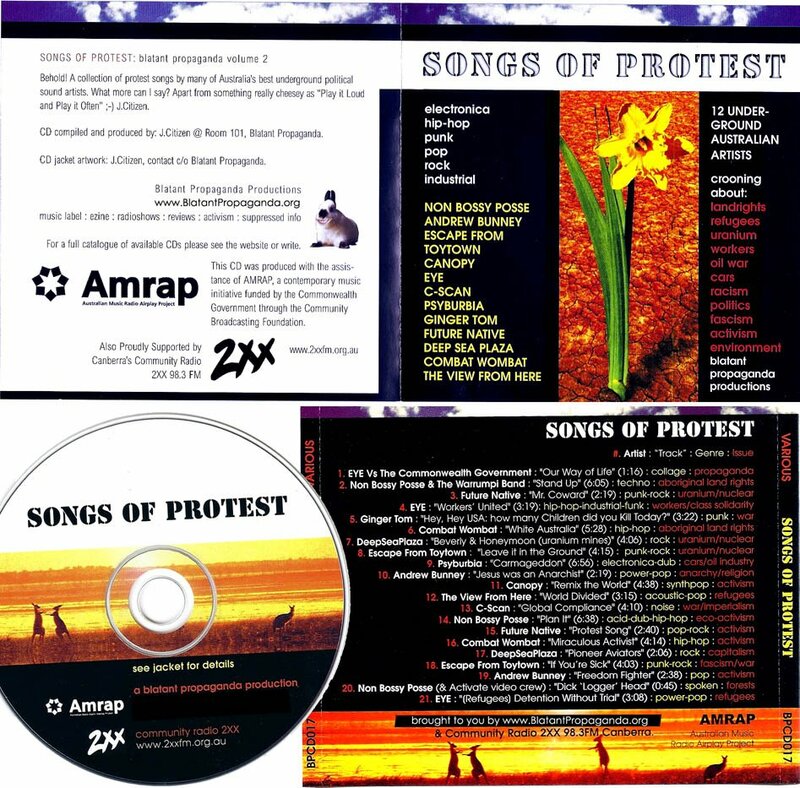 Album: "SONGS OF PROTEST" - underground Australian political protest music. We promise to sell your details for lots of money to organised crime gangs who will come for you at dawn. 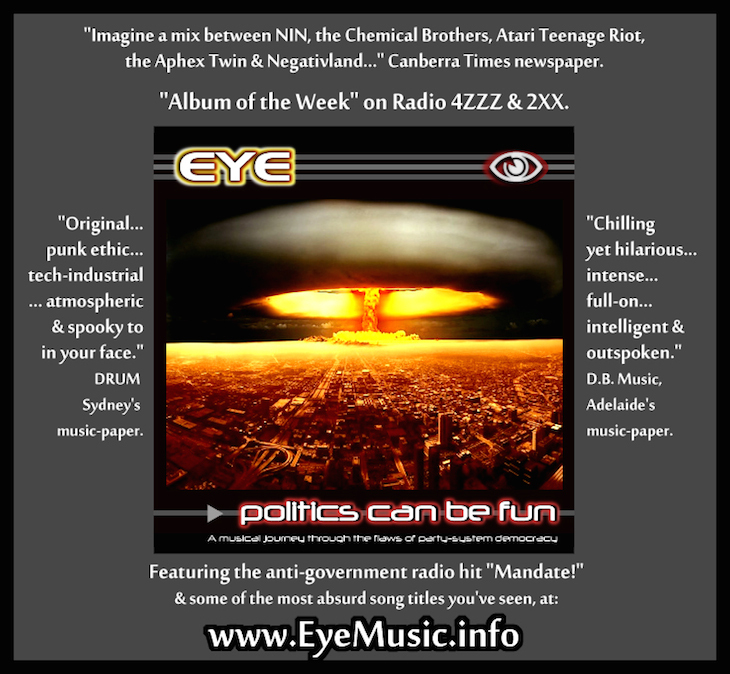 To join the EYE & Blatant Propaganda e-mail list, please enter your details below. At present we send news once every month or so.